Lake George Sport Fishing is under New Ownership for the 2019 season!! 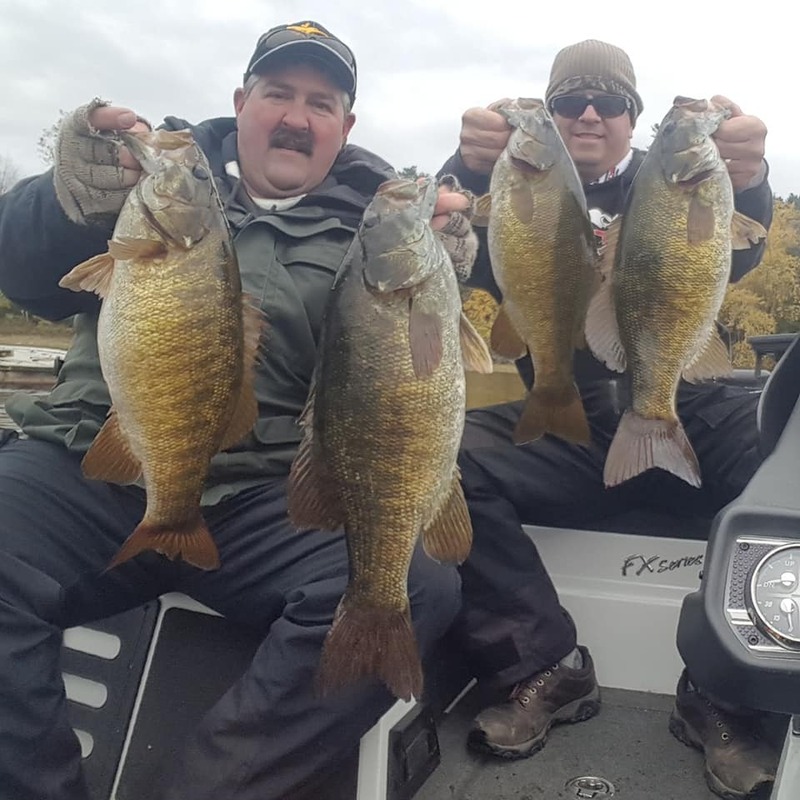 Captain Matt Trombley of 3rd Alarm Charters will now be piloting the 28ft Baha on the waters of Beautiful LAKE CHAMPLAIN for your fishing & cruising pleasure! 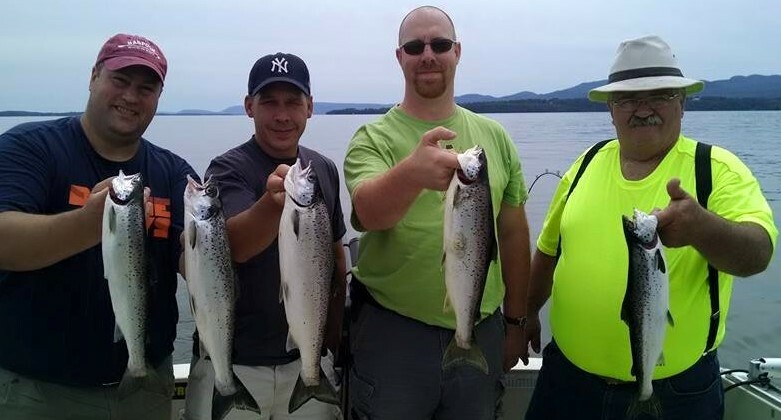 Lake Champlain is 127 Miles long and offers over 820 square miles of water to explore! The fishing is second to none, one of the biggest attractions is the lack of boating pressure, unlike Lake George! With just a 45 min drive from Lake George Village you can be in Westport NY on the shores of Lake Champlain & experience some of the Best Fishing in the Northeast on The SIXTH GREAT LAKE….Lake Champlain! Capt. 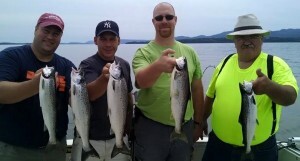 Matt has a life time of fishing experience on the waters of both New York & Vermont and will ensure that your trip is both a pleasurable & memorable one!! 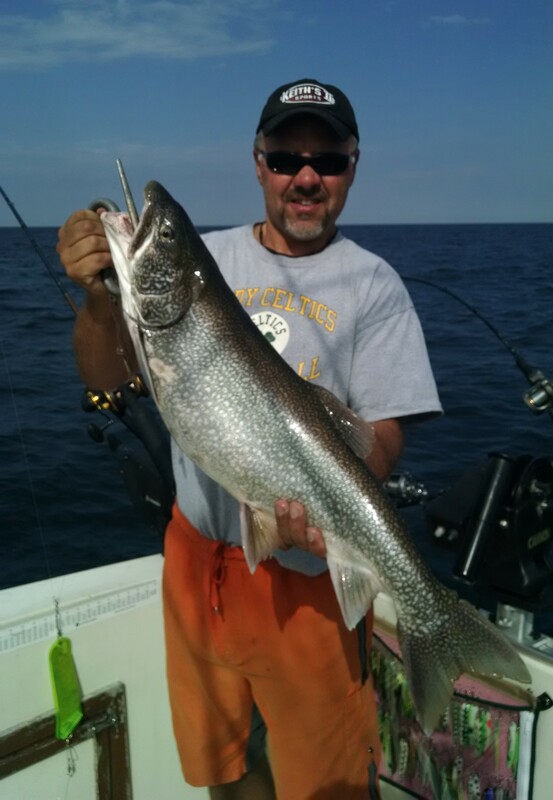 He brings over a dozen years of guiding expertise to the back deck of his vessel to ensure that he puts fish in the net for you & your group! 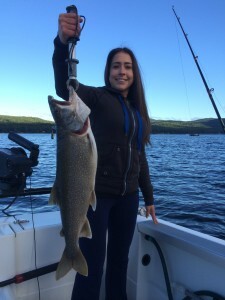 We have guided thousands of very satisfied fishing clients throughout our fishing years on Champlain & Ontario as well as the Hudson River and our catch rate is second to none. We are not limited to what species of fish you can catch or trips we can offer! 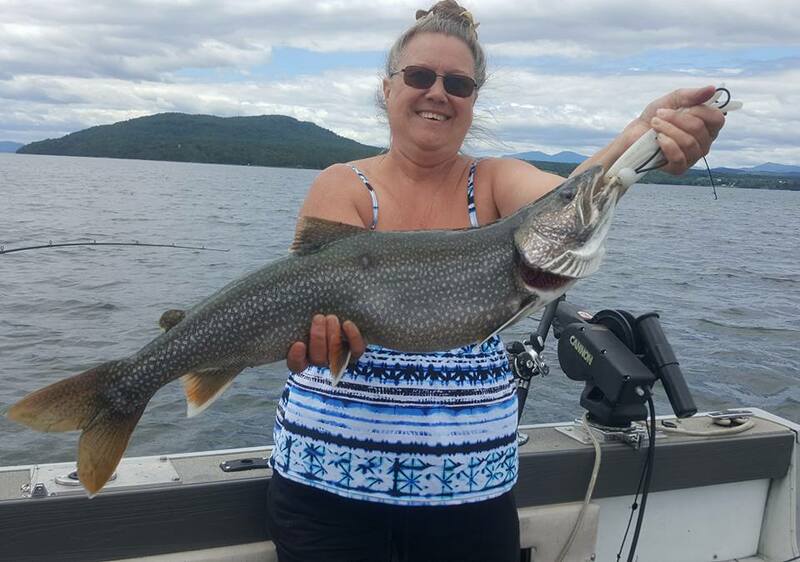 Lake Trout, Landlocked Salmon, Rainbow Trout, Largemouth Bass, Smallmouth Bass, Northern Pike & Pickerel are all opportunities that we pride our selves in offering for our clients! 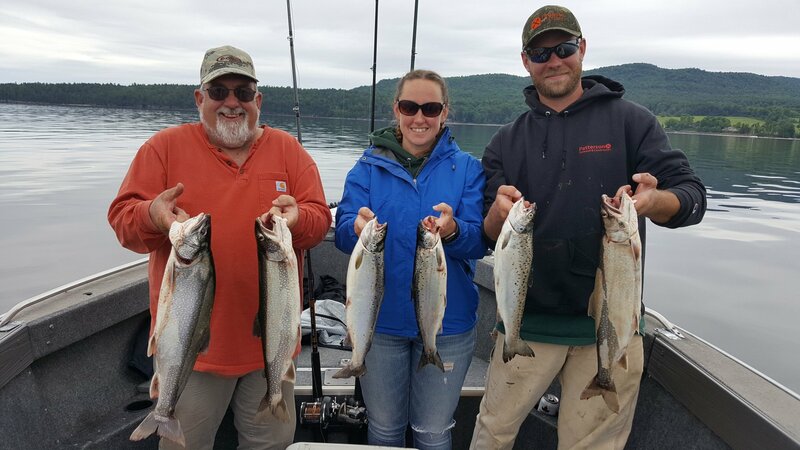 We work to get you fish, whether it be in one of our secret holes, or on those difficult to fish ledges that few others have mastered. We truly hunt down the lunkers and do not merely take you for a scenic boat ride. 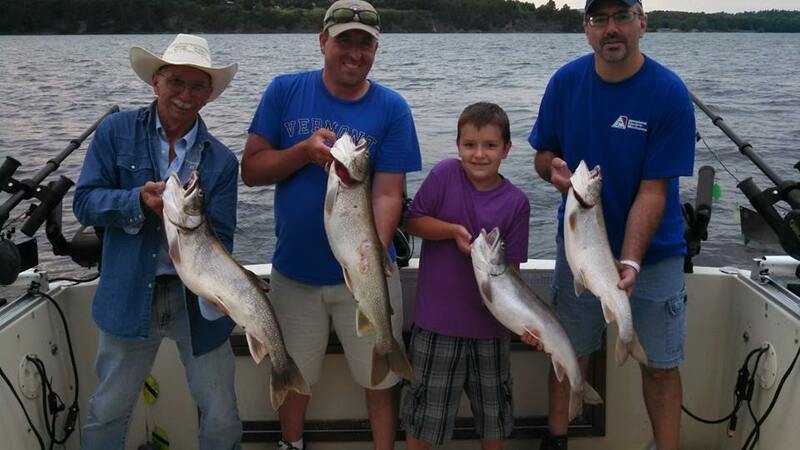 We ARE the guys that you will enjoy spending a day on the lake with. Just ask around – our reputation speaks for itself! We love to be with our fishing clients and chat about the Lake, it’s history or just plain fishing! 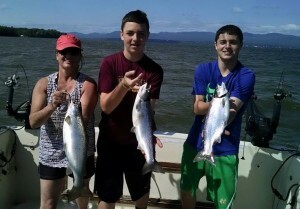 We provide a full service, very family friendly experience during our morning, afternoon and evening charters. 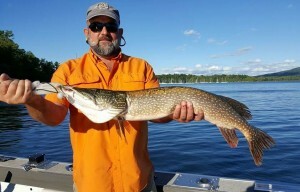 For a full description of all that we have to offer feel free to log onto our sister site at www.lakechamplainfishingcharters.com . We offer a multitude of different types of trips including drift boat trips in the scenic Green Mountains of Vermont that are a short drive from Lake George! PLEASE CALL US AT 802-345-7949 FOR INFO ON OUR 2019 UPCOMING SEASON! 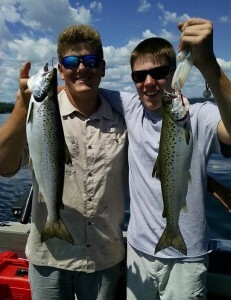 Check the weather in Lake George! 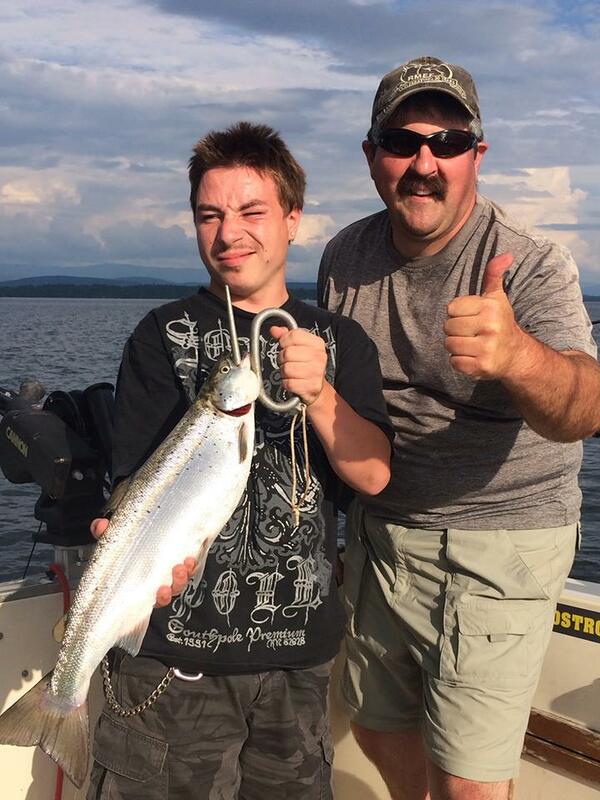 Captain Matt with a Happy Client! 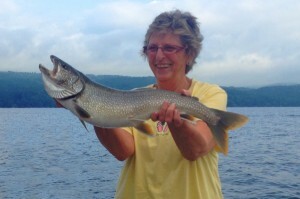 "The weather is always fine for fishing!"